At StoryMe, we're passionate about bringing the Video First mindset to other companies. And the good news is that today's technology is making it a lot easier for anyone to create video! All you have to do is get started with the right mindset, knowledge and tools. After giving plenty of DIY Video Workshops for companies in different industries, our video strategists know what works best. Scroll on to learn more! What message do you want to bring? Who should be bringing this message in front of the camera? How should the storyline go? Brainstorm with your team to come up with a clear idea and conceptualize this idea with a video storyboard. Make sure you coach the person who'll be in front of the camera by doing a few test runs and making them feel at ease. Also tell them what their tone of voice should be and how they should act. Practice makes perfect! Of course, there are a lot of different tools, and prices range from anywhere under €20 to over €100 - there's something for every need & budget! While filming, make sure your camera is at eye level and that there's enough room around the subject. Also keep an eye on any movements or noise in the background! It's always good to do some post-editing, like adjusting colours and contrast or adding text on screen. This will instantly give your video a more professional look and feel. There are plenty of free apps available to help you out with this part! Our Video Strategists' top picks: FilmoraGo (mobile app) and Filmora9 (desktop) for editing or QUIK (mobile app) if you want to create a video using a certain template. This is a DIY after movie made in 30 minutes from our last workshop! Want to further educate and activate your team? There's no better time than now to start creating video! During our DIY Video Workshop, we guide you through all the steps you need to make DIY videos. From imagination to creation, to how to feel comfortable in front of the camera and how to edit your video to give it that pro look. 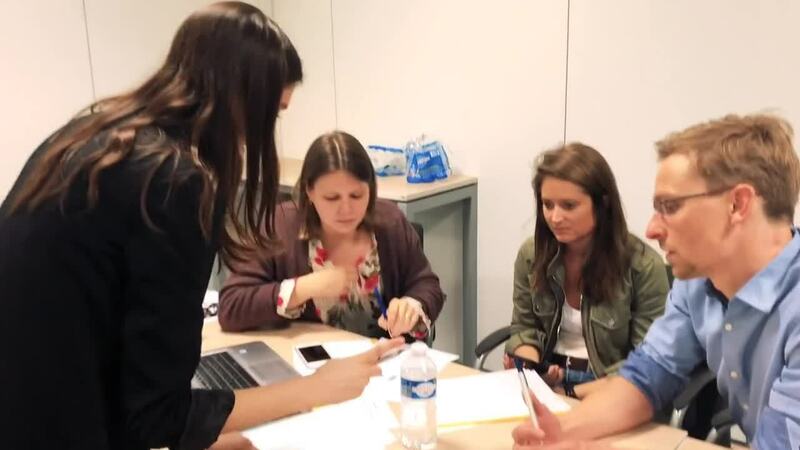 "Very hands-on, practical and immediately applicable", states An Steylemans, Head of Communication at Mediahuis. Head to our workshop page for more information!